Peter King (R-NY), Chairman of the House Homeland Security Committee, called on US Ambassador to the United Nations Susan Rice to resign Friday evening. I believe that this was such a failure of foreign policy message and leadership, such a misstatement of facts as were known at the time and for her to go on all of those shows and to in effect be our spokesman for the world and be misinforming the American people and our allies and countries around the world, to me somebody has to pay the price for this… I can see why if they wanted to say it’s too early to say it’s definitively terrorism but to rule out terrorism, to say it was not terrorism at that time was a — to me, a terrible mistake to make whether it was done intentionally or unintentionally and to show the significance of that, I believe she should resign, yes. In an unusual move, the Obama administration had called on Ambassador Rice, who had no specific reason to be familiar with the details of State Department operations in Libya, to appear on NBC’s Meet the Press and ABC’s This Week on Sunday, September 16 — five days after the American mission in Benghazi, Libya was attacked and four Americans, including American Ambassador Chris Stevens, were murdered. The release from the office of Director of National Intelligence James R. Clapper Jr. came as lawmakers sought more details about the siege in Benghazi. The Senate Foreign Relations Committee sent a letter to the State Department on Thursday posing questions about intelligence in the period leading up to the attack and the adequacy of the security at U.S. compounds. Shawn Turner, a spokesman for Clapper, said U.S. agencies have altered their assessments based on intelligence that has emerged through an ongoing investigation. 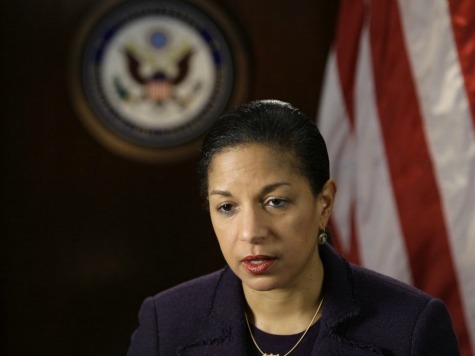 Ambassador Rice has not yet responded publicly to Congressman King’s call for her resignation.